Tweek Asphaleia, designed to flexibly configure the security settings on the iPhone and iPad, updated to support iOS 8.4. With Asphaleia 2 can further protect applications, settings and various functions of the mobile operating system Apple. 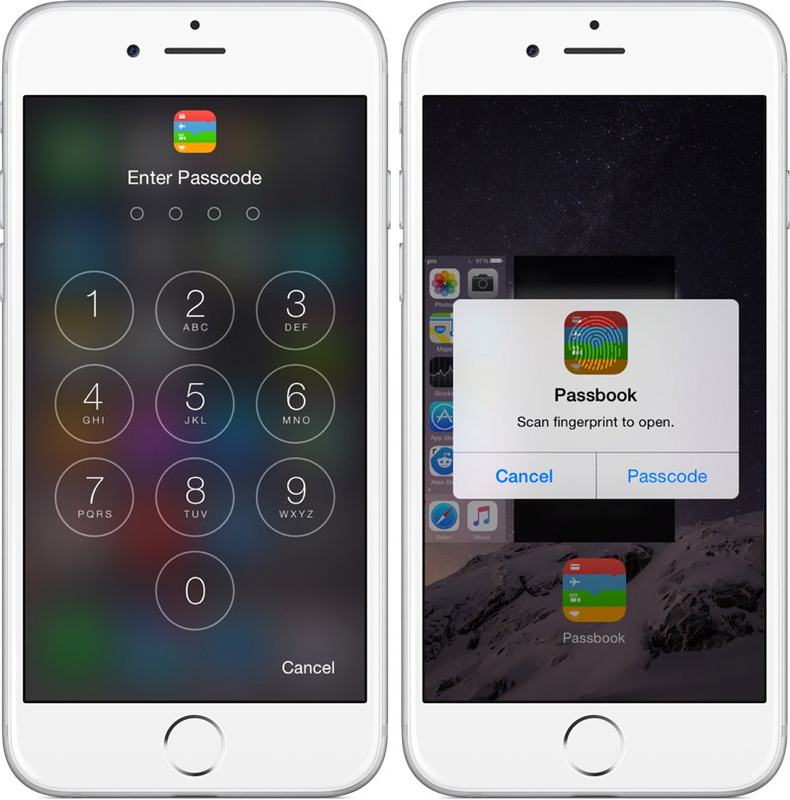 Asphaleia 2 is a response to jailbreak applications BioProtect, BioLockdown and AppLocker, the possibility of using a fingerprint scanner iPhone. 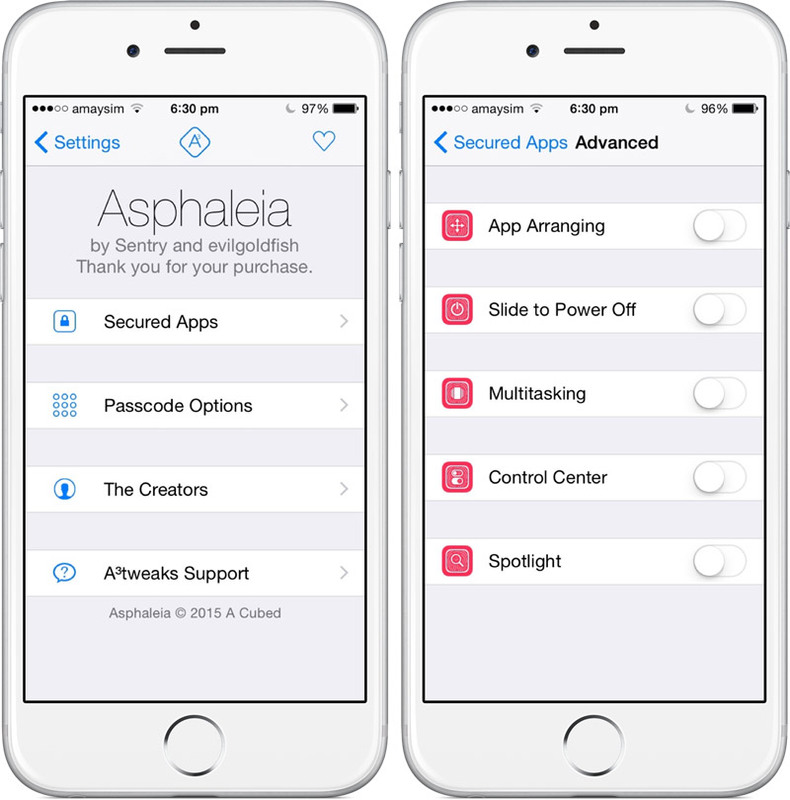 In contrast, Asphaleia works with all devices running iOS 8, even equipped with fingerprint module. Asphaleia 2 allows you to restrict access to the applications page, Spotlight, multitasking panel, the control point, to prohibit the movement of icons on the home screen, and even turn off your smartphone or tablet. 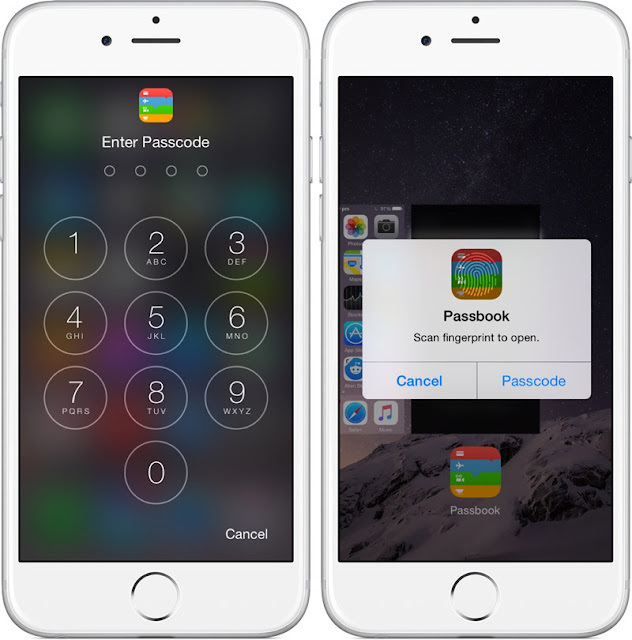 There can be used usual alphanumeric password or a fingerprint scanner. In a separate section of the application can be flexibly configure. Asphaleia allows the use of a delayed block (from 10 seconds to 30 minutes), open the program to unlock the exit from them and hide screenshots of applications Multitasking panel. Dynamic Function Lock allows you to quickly add or delete certain tasks and system functions from the list of protected without entering the settings. Asphaleia 2 can be found in the main repository Cydia. The cost of an updated tweak is $ 1.99.